The new GroovyYurt bay windows are available in 3 sizes and two options. A fixed window or a window that can be opened from the inside. The bay windows follow the yurt’s curve and are available in individual sections (see table for dimensions). 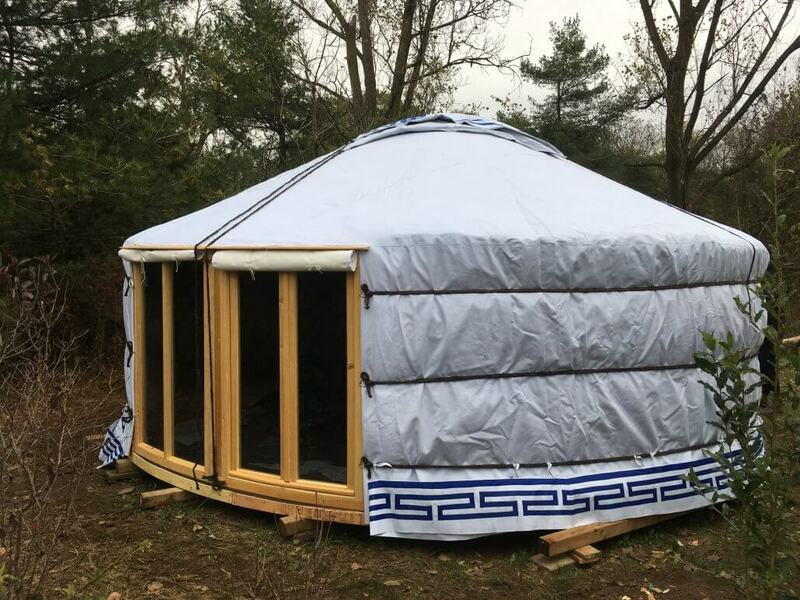 Each section can be inserted in to the yurts circumference as is, or connected to one or more windows. They can also be connected to the main door. We do not recommend at this point connecting more than 3 windows together and in general suggest keeping the amount of extra doors / windows to a minimum. If not absolutely necessary, we prefer a fixed window to one that opens as to minimize any risk of water leaks or structural compromise. The bay windows come with a small wood awning and a canvas cover that we recommend using in harsh weather conditions or when the yurt is not in use. Each bay window section is made of two 4mm single tempered glass panels. These windows can be retro fitted in to an existing yurt. The authentic Mongolian ger is the result of over 3000 years of slow fine tuning. We have introduced our groovy bay windows in response to our clients requests and demand. 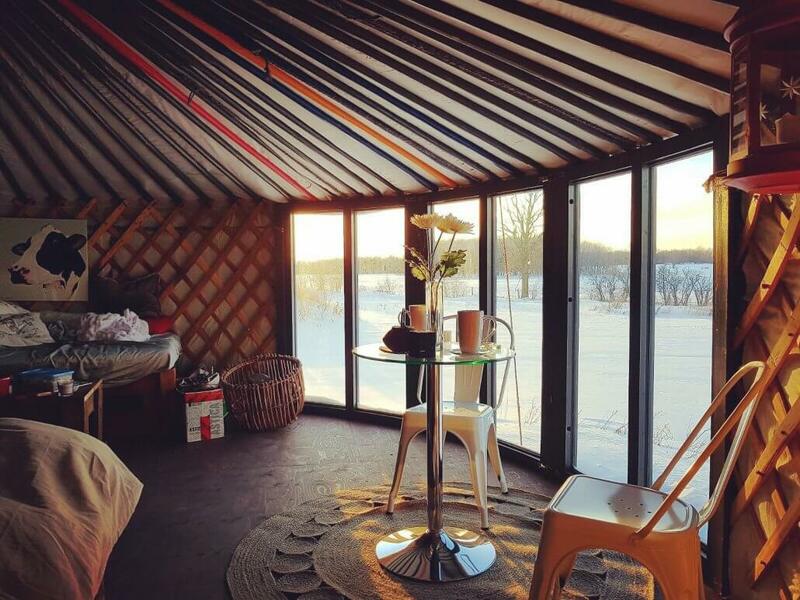 They do open up the yurt to beautiful views, easier ventilation, and can also be used as a potential access door. We have been developing our windows over the last 24 months and we are watching closely, but still feel we have limited experience with them. Having said this we do want to stress that by inserting a window into the original authentic de- sign, you will affect the yurts insulation slightly and also there can be greater risk for water leaks. Accommodations and modifications can be made to minimize any risks or concerns. Ask us for tips. Dimensions can vary from those given on this document.